• 6.00 p.m. Saturday. The evening Mass of the vigil intended for those whose work or other commitments makes it impossible for them to participate in the Sunday Masses themselves. This is usually a low ‘hymn sandwich’ Mass occasionally accompanied by the organ and whatever voices the congregation can muster. • 9.00 a.m. Sunday. This Mass also includes the children’s liturgy and has a more relaxed atmosphere. Music is provided by a choir accompanied by instrumentalists. • 11.00 a.m. Sunday. The highest of the three Sunday Masses accompanied by an organ and choir. This timetable is correct for most weeks, but the schedule may be altered to accommodate funerals or due to other circumstances. The weekly parish newsletter carries full details of any changes during the following week and details of any changes are also announced at the Sunday Masses. Additional weekday Masses are celebrated during the holy seasons of Advent and Lent as the faithful prepare spiritually for the great feasts of the Church: Christmas and Easter. These are celebrated at 7.00 a.m. on a Tuesday in the church and at 8.00 a.m. in St. Mary’s School. The latter Mass is followed by breakfast for those who wish to partake. On those Holy Days of Obligation that do not transfer to the nearest Sunday the Sacrifice of the Mass is offered at 9.30 a.m., at which the children from St. Mary’s School are usually present, and 7.30 p.m. which resembles the 11.00 a.m. Mass in character. 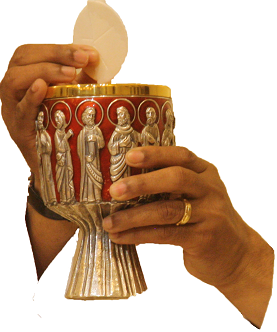 On these days the precepts of the Church oblige Catholics to participate in the Sacrifice of the Mass [Catechism 2043]. The times of any additional Masses are announced in the weekly newsletter or during the Sunday Masses.